Grammy-nominated singer-songwriter Sturgill Simpson comes to The Wiltern on Tuesday 15th November 2016 for the first in a two-night stand! The country crossover artist is coming as part of his extended tour in support of his latest album A Sailor's Guide to Earth – catch him while he's hot! American country and roots rock singer songwriter Sturgill Simpson's music career started in 2004 when he formed a bluegrass band. 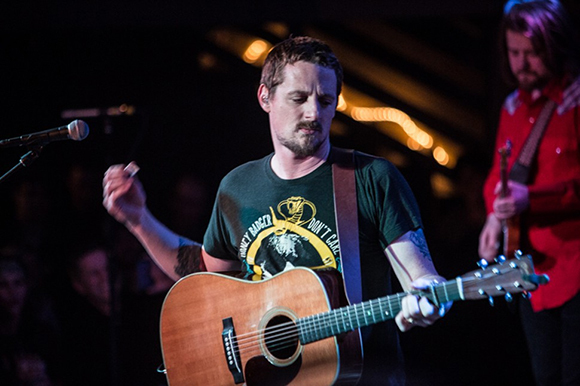 When the group disbanded in 2012, Sturgill decided to pursue a solo career, having moved to Nashville, Tenessee. His debut solo album, High Top Mountain, was released independently in 2013 and earned solid reviews, but it was 2014's Metamodern Sounds in Country Music that put Simpson on the map, earning Grammy Award nomination for Best Americana Album. His third studio album and major label debut, A Sailor's Guide to Earth, was released on April 15, 2016, on Atlantic Records.